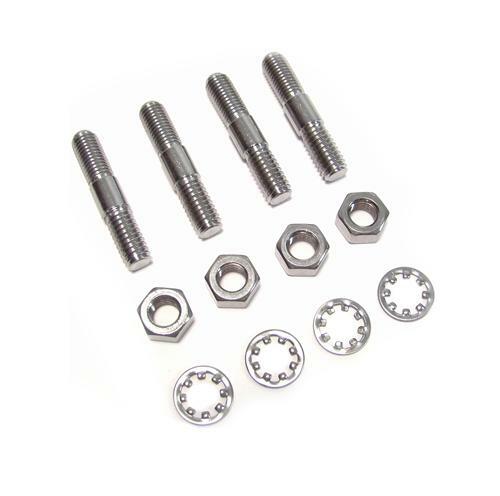 We no longer carry the 1979-85 Mustang 4 Piece Carburetor Stud Kit. Check out 1979-1985 Mustang Carburetors for an updated selection. Putting a new carb on your 1979-1985 Mustang? Get some new studs to finish up your install like a pro! These Professional Products carburetor stud kits include studs, nuts, and washers. You can depend on Professional Products for the quality fuel system hardware that you need for your 1979-85 carbureated Mustang!